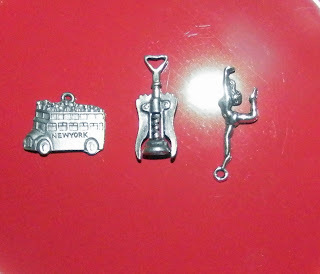 Weekend Reading: Bus/Corkscrew/Dancer from Tierney's Charms. This weekend be wary of crowds. They'll screw your happiness. That goes for doing your best to avoid high traffic areas, places where the public gathers, etc. Stay away from anywhere people might be going by the busload. If you want to remain happy, that is. I'm crowd aversive anyway, but this goes for people who love them, too. The charms have spoken.